Prenatal Care: Wise or Wasteful? Award Year: 2006 What exactly is prenatal care and why doesn't it seem to work? After two decades of investment, advocacy, and research, more women are getting prenatal care than ever and rates of preterm birth continue to rise. Co-investigators John Lantos, M.D. and Diane S. Lauderdale, Ph.D. reject the traditional view of prenatal care as a preventive intervention that prevents preterm birth. Instead, prenatal care may work primarily by detecting problems early in pregnancy, increasing the need for obstetrical intervention, and increasing the rate of preterm birth. Better neonatal care for preterm babies then allows better infant survival. In Prenatal Care: Wise or Wasteful?, Lantos and Lauderdale review the recent history of health policies aimed at pregnant women, analyze data on shifting risk factors, and reconsider the goals of prenatal care and their bioethical implications. Their study should help policymakers better understand what prenatal care can achieve and how it might be improved. 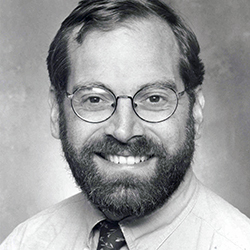 John Lantos is director of the Children's Mercy Bioethics Center at Children's Mercy Hospital in Kansas City. He is a professor of pediatrics at the University of Missouri-Kansas City School of Medicine and had an appointment as visiting professor of pediatrics and associate director of the MacLean Center for Clinical Medical Ethics at The University of Chicago. He also held the John B. Francis Chair in Bioethics at the Center for Practical Bioethics in Kansas City, MO. He is the author of Do We Still Need Doctors? (Routledge, 1997), The Lazarus Case (Hopkins 2001) and Neonatal Bioethics (Hopkins 2006). He also co-edited (with Carl Elliott) The Last Physician: Walker Percy and the Moral Life of Medicine. (Duke 1999). Dr. Lantos is an active clinician at La Rabida Hospital, a specialty hospital for children with chronic disease. He has written about ethical issues in clinical pediatrics and research ethics. He has served as president of both the American Society of Law, Medicine and Ethics and the American Society of Bioethics and Humanities. He is currently working on a book - tentatively titled Shell Games - about the political economy of academic medical centers. VanderWeele, T., Lantos, J., Lauderdale, D. Rising Preterm Birth Rates, 1989-2004: Changing Demographics or Changing Obstetric Practice? Social Science and Medicine, 2012, 74: 196-201. Lantos, J., Lauderdale, D. What is Behind the Rising Rates of Preterm Birth in the United States? Rambam Maimonides Medical Journal, Oct 2011, 2(4): 1-10. Lauderdale, D.S., Vanderweele, T.J., Siddique, J., Lantos, J.D. Prenatal Care Utilization in Excess of Recommended Levels: Trends from 1985 to 2004. Medical Care Research and Review, Oct 2010, 67(5): 609-22. Siddique, J., Lantos, J.D., Vanderweele, T.J., Lauderdale, D.S. Screening Tests during Prenatal Care: Does Practice Follow the Evidence? Maternal Child Health J., Nov 28 2010. Siddique, J., Lauderdale, D.S., VanderWeele, T.J., Lantos, J. Trends in Prenatal Ultrasound Use in the United States. Medical Care, 2009, 47,(11): 1129-35.